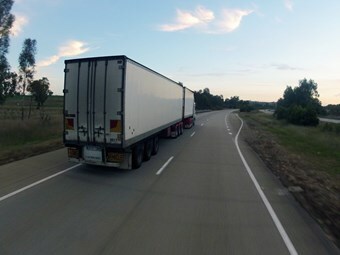 The Australian Logistics Council (ALC) has reiterated its call for a dedicated freight and supply chain office within the Department of Infrastructure, Regional Development and Cities (DIRDC) in a new discussion paper. The new unit would be responsible for implementing the National Freight and Supply Chain Strategy, a move the ALC said would help ensure recommendations and initiatives did not get lost in political cycles. In Laying the Foundation, a nine-point discussion paper concerning the strategy released yesterday, the ALC said the unit should be in place and operational before the National Strategy is formally released – expected to be in May 2019. "Accordingly, some of the funding appropriated in the 2018-19 Commonwealth Budget to support the implementation of the National Strategy should be directed towards the immediate establishment of this unit," the ALC says. "This will allow the recruitment of appropriate personnel and for necessary preparatory work to be undertaken, so that no time is lost in the implementation of the National Strategy once it is publicly released." Once established, the ALC also recommended that the unit build a way to measure and report on the performance of key freight routes and interfaces at freight terminals. "Establishing data-gathering processes which have the imprimatur of the Commonwealth will send a clear signal to all industry participants about the importance of the issue," the ALC says. "Similarly, public reporting of performance will provide an incentive to ensure the data provided is accurate and of a high standard, enhancing the quality of the data pool." ALC managing director Michael Kilgariff says each of the report’s recommendations reflect industry priorities as discussed at the recent ALC Forum. "Maintaining momentum on infrastructure development and policy reform will be central to Australia’s future economic success," he says. "Pursuing the nine recommendations contained in Laying The Foundation will help achieve this outcome, and deliver key policy reforms that are crucial to the nation’s freight logistics industry." Bringing forward the Productivity Commission’s review of rail and road operating standards to 2018, with that review to examine mandatory use of telematics and National Operating Standards.